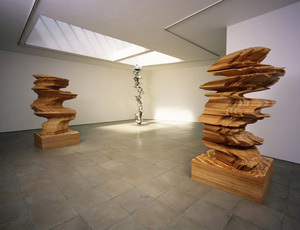 Tony Cragg is one of the world’s foremost sculptors. 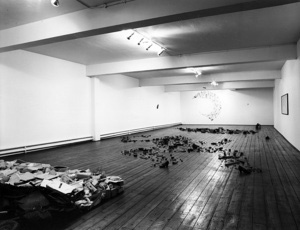 Constantly pushing to find new relations between people and the material world, there is no limit to the materials he might use, as there are no limits to the ideas or forms he might conceive. 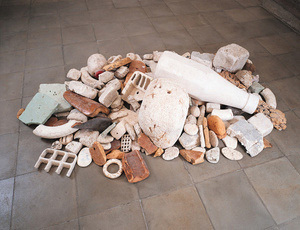 His early, stacked works present a taxonomical understanding of the world, and he has said that he sees manmade objects as “fossilized keys to a past time which is our present”. 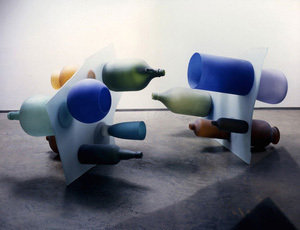 So too, the floor and wall arrangements of objects that he started making in the 1980s blur the line between manmade and natural landscapes: they create an outline of something familiar, where the contributing parts relate to the whole. 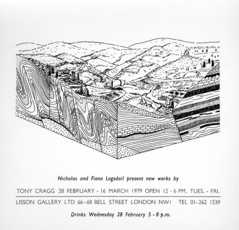 Cragg understands sculpture as a study of how material and material forms affect and form our ideas and emotions. This is exemplified in the way in which Cragg has worked and reworked two broad bodies of work he calls Early Forms and Rational Beings. 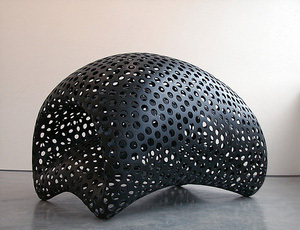 The Early Forms explore the possibilities of sculpturally reforming familiar objects such as containers into new and unfamiliar forms producing new emotional responses, relationships and meanings. Rational Beings examine the relationship between two apparently different aesthetic descriptions of the world; the rational, mathematically based formal constructions that go to build up the most complicated of organic forms that we respond to emotionally. The human figure being the prime example of something that looks ultimately organic eliciting emotional responses, while being fundamentally an extremely complicated geometric composition of molecules, cells, organs and processes. His work does not imitate nature and what we look like, rather it concerns itself with why we look like we do and why we are as we are. 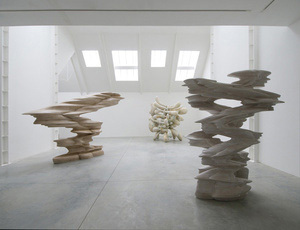 Tony Cragg was born in Liverpool, UK in 1949 and has lived and worked in Wuppertal, Germany since 1977. 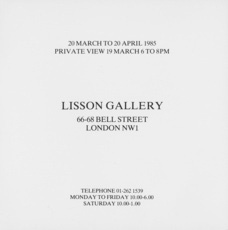 He has a BA from Wimbledon School of Art, London, UK (1973) and an MA from the Royal College of Art, London, UK (1977). 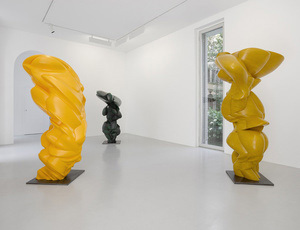 Among many major solo shows he has exhibited at Yorkshire Sculpture Park, UK (2017); the National Museum of Havana, Cuba (2017); MUDAM Luxembourg, Luxembourg (2017); Ludwig Museum, Koblenz, Germany (2017); Wroclaw Contemporary Art Museum, Wroclaw, Poland (2017); The State Hermitage Museum, St Petersburg, Russia (2016; Von der Heydt Museum, Wuppertal, Germany (2016); Benaki Museum, Athens, Greece (2015); Gothenburg International Sculpture Exhibition, Gothenburg, Sweden (2015); Heydar Aliyev Centre, Baku, Azerbaijan (2014); Musée d’art modern de Saint-Étienne, Saint-Étienne, France (2014); National Taiwan Museum of Fine Arts, Taichung, Taiwan (2013); CAFA Museum in Beijing, China (2012); Musée du Louvre, Paris, France (2011); the Scottish National Gallery, Edinburgh, UK (2011); Nasher Sculpture Center, Dallas, TX, USA (2011); Skulpturenpark Waldfrieden, Wuppertal, Germany (2010); Tate Gallery, Liverpool, UK (2000); Museo Nacional Centro de Arte, Reina Sofia, Madrid, Spain (1995), Stedelijk van Abbemuseum, Eindhoven, The Netherlands (1991) and Tate Gallery, London, UK (1988). He represented Britain at the 43rd Venice Biennale in 1988 and in the same year was awarded the Turner Prize at the Tate Gallery, London, UK. 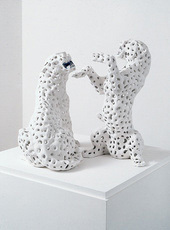 He has been a Professor at Ecole Nationale Superieure des Beaux Arts, Paris, France (1999-2009) and Professor at Kunstakademie, Dusseldorf, Germany (2009–present). He was elected a Royal Academician in 1994; received the Praemium Imperiale for Sculpture, Tokyo, Japan (2007); was Awarded the 1st Class Order of Merit of the Federal Republic of Germany (2012) and was made a Knight's Bachelor in 2016. Fibreglass 278 x 205 x 294 cm 109 7/16 x 80 11/16 x 115 3/4 in. Wood 386 x 130 x 100 cm 152 x 51 3/16 x 39 3/8 in. Cast iron 74 x 34 x 36 cm 29 1/8 X 13 3/8 x 14 3/16 in. Bronze 120 x 112 x 90 cm 47 1/4 x 44 1/16 x 35 7/16 in. Mixed media 200 x 200 x 200 cm 78 3/4 x 78 3/4 x 78 3/4 in. Plastic 314 x 198 cm 123 5/8 x 77 15/16 in. Glass 64 x 187 x 85 cm 25 3/16 x 73 5/8 x 33 7/16 in. Glass 113 x 76 x 48 cm 44 1/2 x 29 15/16 x 18 7/8 in. Bronze and paint 120 x 120 x 110 cm 47 1/4 x 17 1/4 x 43 5/16 in. Bronze 105 x 80 x 57 cm 41 5/16 x 31 1/2 x 22 7/16 in. Wood 250 x 102 x 429 cm 98 7/16 x 40 3/16 x 168 7/8 in. 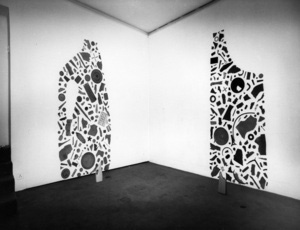 Found plastic objects Installed: 170.2 x 132.1 cm Installed: 67 x 52 in. 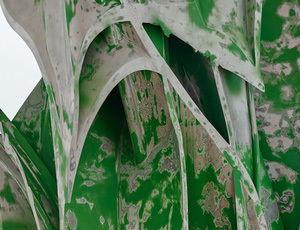 Sandblasted glass and steel 240 x 500 x 290 cm 94 1/2 x 196 7/8 x 114 3/16 in. Wood 185 x 135 x 135 cm 72 13/16 x 53 1/8 x 53 1/8 in. Bronze 150 x 160 x 55 cm 59 1/16 x 63 x 21 5/8 in. Sandstone 100 x 320 x 350 cm 39 3/8 x 126 x 137 13/16 in. Bronze 360 x 192 x 180 cm 141 3/4 x 75 9/16 x 70 7/8 in. Bronze 140 x 130 x 72 cm 55 1/8 x 51 3/16 x 28 3/8 in. Bronze 356 x 138 x 100 cm 140 3/16 X 54 5/16 39 3/8 in. Bronze 385 x 190 x 120cm 151 9/16 x 74 13/16 x 47 1/4 in. Bronze 60 x 60 x 230 cm 23 5/8 x 23 5/8 x 90 9/16 in. Bronze 152 x 95 x 95 cm 59 13/16 x 37 3/8 x 37 3/8 in. Bronze 68 x 66 x 58 cm 26 3/4 x 26 x 22 13/16 in. Bronze 75 x 110 x 225 cm 29 1/2 x 43 5/16 x 88 9/16 in. Stone (Giallo Siena Chiaro, Italian marble) 260 x 70 x 70 cm 102 3/8 x 27 9/16 x 27 9/16 in. Plastic 330 x 235 cm 90 9/16 x 92 1/2 in. 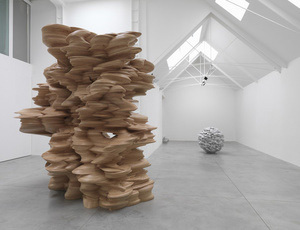 Found wood fragments 252 x 198 cm 99 3/16 x 77 15/16 in. Mixed media 172 x 170 x 270 cm 67 3/4 x 66 15/16 x 106 5/16 in. Stainless steel 330 x 95 x 85 cm / 130 x 37 1/2 x 33 1/2 in. Bronze 175 x 76 x 285 cm / 69 x 30 x 112 1/4 in. Bronze 190 x 90 x 90 cm / 74 3/4 x 35 3/8 x 35 3/8 in. Bronze 150 x 104 x 68 cm / 59 x 41 x 26 6/8 in.